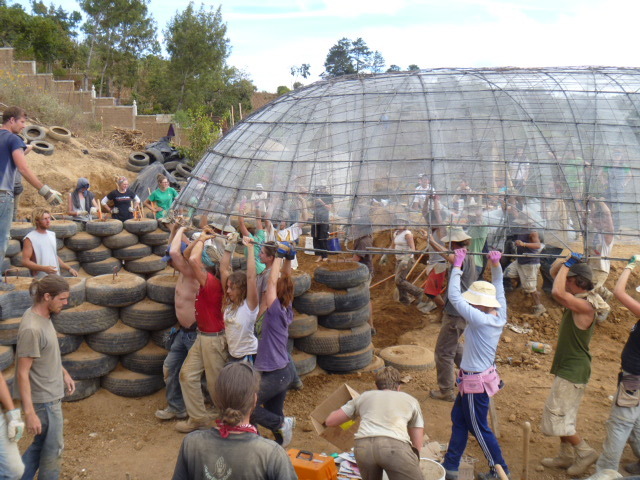 In November 2012 we did a fundraising campaign through Indiegogo.com to built a water management system for an Earthship style home for a Guatemalan family. We raised 4.200 dollars which enabled us to travel to Guatemala and help built the home. The ‘built’ started February 8th and in only 3 weeks we built an entire house(!) 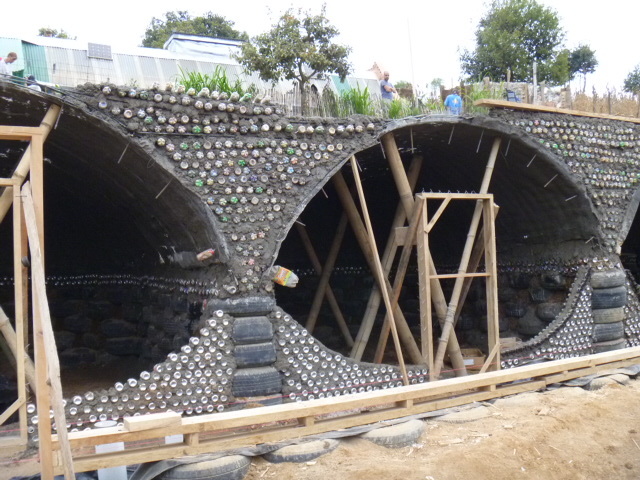 with a crew of 70+ people out of tires, bottles, cans, and lots of cement and rebar. Please have a look at some of the pictures!! We have documented the entire building process, and especially the water management system, so those of you that are interested in learning more, please let us know and we’ll send you some more information! The building of this house was organised by the Earthship Biotecture Institute we did an internship with in Taos, New Mexico, and Long Way Home, a non profit organisation that is based in Comalapa which uses sustainable design and materials to construct a self-sufficient school with alternative construction methods and materials (a way to re-purpose ‘waste’) that promotes education, employment and environmental stewardship in the community. Long Way Home (LWH) aims to empower communities to break the cycle of poverty. They are an inspiring ‘can-do’ organization and actively demonstrate appropriate technologies (e.g. 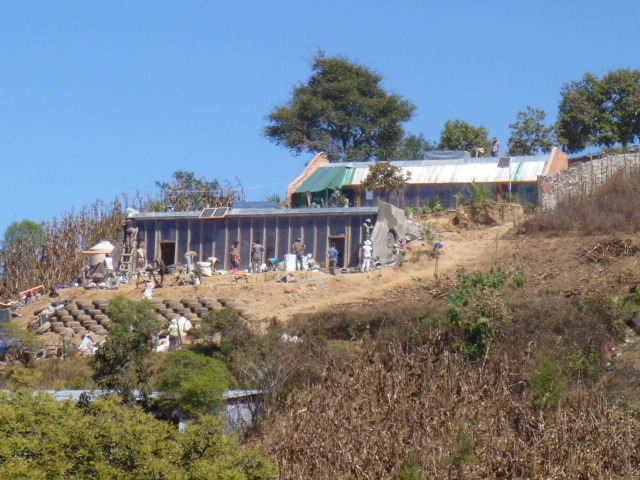 composting latrines, plancha stoves, water harvesting systems, and Earthship style self-sufficient homes) to improve health outcomes and transfer knowledge.